Find the best luxury bath accessories to turn that ordinary bath into an extraordinary spa experience. 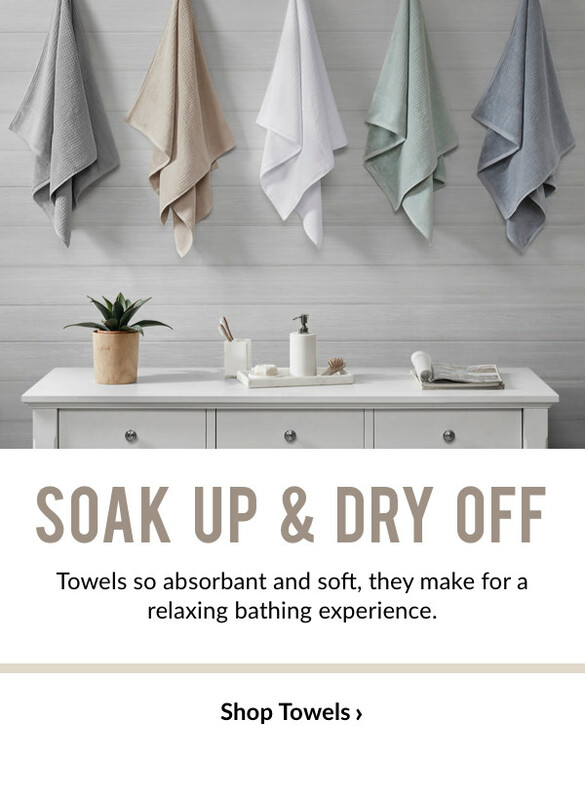 Transform your every day routine into something more; find luxury towels, bathrobes, and plush rugs from designer brands like Madison Park, INK+IVY, and 510 Design at affordable prices. Designer Living bath accessories come in a multitude of colorful prints and patterns, all readily available to mix and match with your bathroom space. 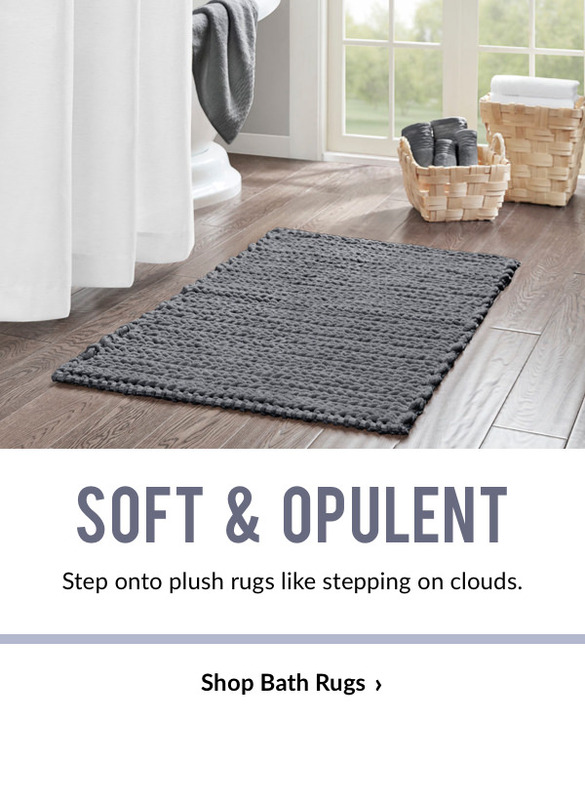 Whether it’s a whole bathroom revamp or a small refresh, Designer Living carries popular styles that flawlessly transform your space! 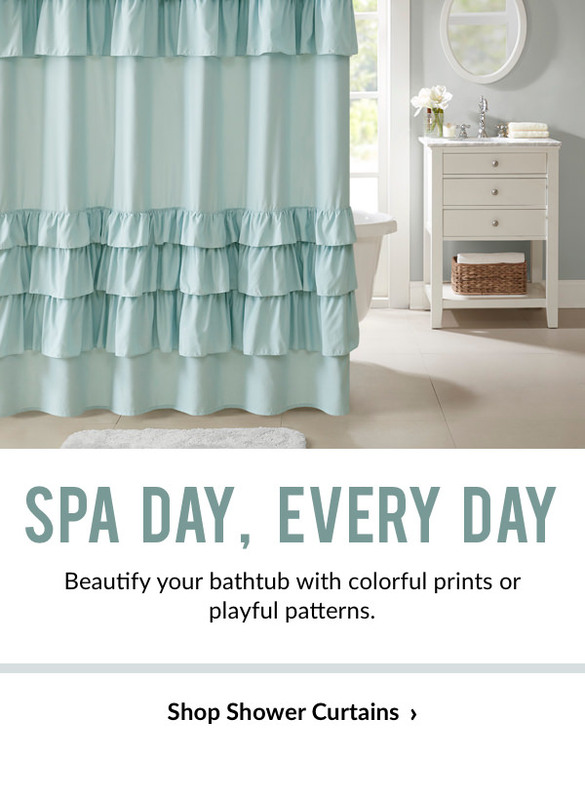 Create the perfect getaway space to wind down and relax with Designer Living—luxury bath accessories that look good, at prices that make you feel good.